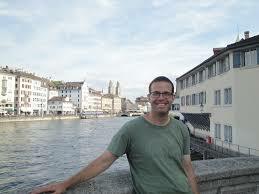 Will Theiss has written a nice article on Ernst Renan for Marginalia. It provides fascinating backdrop for Renan's scholarship and (I don't mind saying) is beautifully written. The Jesus Blog is pleased today to publish Wayne Coppins's detailed review of the new Jesus Handbuch, edited by Jens Schroeter and Christine Jacobi and published by Mohr Siebeck in their Handbuecher Theologie series. 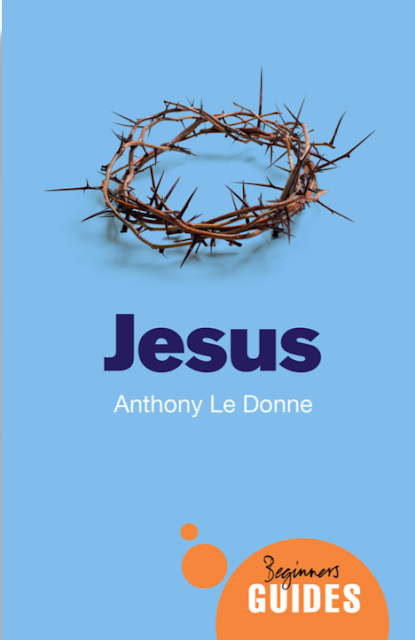 This review will particularly be helpful for those readers of the Jesus Blog who can't read the Jesus Handbuch in German, though an English translation is planned. You can find Wayne on the web here and you can buy the book here. Unlike the newest Star Wars movie, the Jesus Handbuch (Tübingen: Mohr Siebeck, 2017) exceeded my high expectations. Since its success is due not least to the particular way that the volume has been conceptualized by the editors, I recommend that one begin by reading Jens Schröter and Christine Jacobi’s introduction to the handbook (1-14) as well as their introductions to each section of the volume (16-20, 126-130, 184-185, 488-489). In my judgment, the extensive discussion of methodological, hermeneutical, and historiographical considerations and developments in the section on the history of historical-critical Jesus research is especially important to the overall concept of the work. Accordingly, I have given somewhat greater attention to this part of the book in my review. The contents of the volume are as follows: Preface (v-vi), Introduction (A: 1-14), History of Historical-Critical Jesus Research (B: 15-124), The Historical Material (C: 125-181), Life and Activity of Jesus (D: 183-486), Early Traces of Impacts and Receptions of Jesus (E: 487-561), List of Contributing Authors (563-564), Bibliography (565-617), and Indexes (619-685). Because the individual sections are relatively succinct and presented with clarity, the handbook will be an excellent resource for students who wish to gain an introduction to a specific topic or to historical Jesus research as a whole. 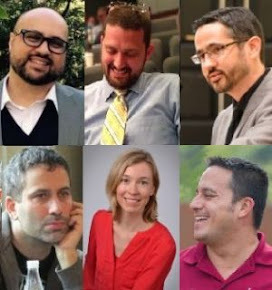 At the same time, since the authors have been given enough space and freedom to develop their ideas at the highest level, it will also be of great benefit to scholars in the field. With regard to the high quality of the volume, credit is due not only to the editors and authors but also to Lena Nogossek for her significant contributions to the realization of the project and to Matthias Müller for his excellent translation of the English essays (vi). Let me now provide some brief comments on 22 of the 65 sections of the handbook, highlighting lines of argument that I regard as especially interesting, insightful, or significant. At the end of my review, I will conclude with one specific point of criticism and one suggestion for revision with respect to future editions of the handbook. In his valuable section on “The Critical Historical Scholarship of the Late Eighteenth and Nineteenth Century” (pp. 37-42), Eckart David Schmidt claims that Ranke’s statement that the historian wants “merely to say how it actually was” should not be misinterpreted in a “positivistic” sense. In his view, this represents a misinterpretation both because this statement does not represent Ranke’s own program but rather a qualification or demarcation from the particular approach of Enlightenment pragmatism and because Ranke himself stresses shortly beforehand that “the aim of a historian depends on his point of view” (40). James Carleton Paget provides an outstanding analysis of Johannes Weiss’s and Albert Schweitzer’s interpretations of the kingdom of God as an eschatological concept (55-65). In terms of content, I found it significant that Weiss revised his advocacy of thoroughgoing eschatology in the second edition of his work, namely by conceding that “not all ethical statements of Jesus must be exclusively traced back to his eschatological worldview” (61). Here, I was especially struck by the extent to which Weiss’s thinking prefigured that of Dale Allison, who modified his earlier views on thoroughgoing eschatology in a similar manner in Constructing Jesus (see 134n461 with 97, 134-135, and 144-146). Since Weiss and Allison both explicitly revised their earlier endorsement of “thoroughgoing eschatology,” I think that scholars should cease using this phrase to describe their respective views of Jesus’s eschatology. In terms of methodology, Carleton Paget rightly stresses the need to treat Weiss and Schweitzer as equal discussion partners rather than as representatives of stages of development (57-58). Indeed, in reading Carleton Paget’s section, I realized how a tacit acceptance of Schweitzer’s developmental framework had contributed to my failure to read Weiss’s actual work—sackcloth and ashes! In “Historical Jesus and Kerygmatic Christ” (66-74), Reinhard von Bendemann provides a sympathetic yet critical analysis of the contributions of Martin Kähler, Rudolf Bultmann, and Luke Timothy Johnson. Notably, von Bendemann stresses that Bultmann was indeed concerned to uphold, better understand, and make theologically fruitful “a ‘historical’ connection between the historical Jesus and the post-Easter Christology and theology” (69). Moreover, he argues that Bultmann’s talk of “historical presupposition” should not be interpreted to suggest otherwise, and claims that Bultmann, like Schweitzer, did not suspend the quest for the historical Jesus or lead it to its end but rather attempted to make his own contribution to it (69-70). In “The Literary Conceptions of the Gospels and Their Relation to the Historical Jesus” (75-86), Cilliers Breytenbach skillfully develops his own perspectives in dialogue with the history of research. On the one hand, in critical dialogue with Willi Marxsen and Rudolf Bultmann, he insists with Julius Schniewind and Ernst Käsemann that Mark is not a sermon in which the exalted one directly addresses the Markan community but rather a narrative in which Mark has “the earthly one speak to the disciples and not the exalted one to the community” (78). Moreover, he thinks that Jürgen Roloff has successfully demonstrated that “Mark presents the relationship between the Markan Jesus and the disciples of the Gospel as a past event” (80). 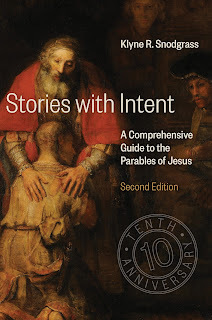 On the other hand, Breytenbach criticizes Roloff for failing to distinguish between ‘Jesus’s history’ and ‘Jesus’s history according to Mark’ and stresses that the question of the closeness of Mark’s portrayal to the history of the earthly Jesus must be answered via tradition history and not through literary methods (80-81). Finally, Breytenbach turns specifically to the topics of narrative, memory, and history. Here, he claims that rather than being a record of events experienced by individual witnesses, Mark is based on the structured, secondary recollection of the community (83). Moreover, he argues that the Gospel of Mark as a whole, i.e. the macro-narrative, must be viewed as a fictional narrative rather than a historical one, while allowing that individual aspects of the plot may be used for a historical construction (83-84). Altogether, Breytenbach emerges as Wrede redivivus, formidably reasserting the concerns of the great master within the horizon of current New Testament scholarship. Chris Keith’s section, “The Gospels as ‘Kerygmatic Narratives’ about Jesus and the ‘Criteria’ in Jesus Research” (86-98), examines the establishment of “criteria” for the determination of “authentic” material by means of a close reading of the work of Ernst Käsemann, Günther Bornkamm, and Ferdinand Hahn. Through a careful analysis of the metaphors they employ, Keith highlights both their fundamental assumption that authentic and non-authentic material are joined in the Gospels in a way that permits them to be identified and separated and their corresponding goal of detaching the authentic, original Jesus material from the kerygmatic narratives of the Gospels (89, 91, 94). At the same time, Keith perceptively points out that rather than limiting themselves to this approach, Bornkamm and Hahn looked for more than one way to the historical Jesus (93, 95). With respect to the implications of Keith’s analysis, it is crucial to stress to that Keith’s focus is not on “criteria” in general but rather on the emergence and logic of the criteria of authenticity with special reference to the assumption that it is possible to employ such criteria to get behind the Gospels to a Jesus who is still untouched by the interpretations of his first followers (96-97; cf. 121, 124 [Jens Schröter]). For me, Keith’s analysis raised the question of whether it is beneficial for scholars to continue using the terms authentisch/authentic, Authentizität/authenticity, and Echtheit/genuineness, since the shared use of these shorthand expressions can mask rather different assumptions and understandings of what is being claimed. In his section on “The ‘Remembered Jesus’: Memory as Historical-Hermeneutical paradigm of Jesus Research” (112-124), Jens Schröter distinguishes between two “memory” models, one in which the concept of memory is related to “individual processes of memory of persons from the environment of Jesus” (115), and one in which “the concept of memory is used as a cultural-hermeneutical category” (118). For Schröter, the most fundamental difference between them is that the latter model “does not place the question of the origin and transmission of the Jesus tradition in the center but rather the question of the appropriation of the past from the perspective of the respective present” (120). Moreover, what one is seeking to grasp with this concept of memory is not “processes of preservation or forgetting in the memory of individuals” but rather “those processes through which communities form traditions that preserve the past that is relevant for their own self-understanding, a past that is made present time and again in texts, rituals, festivals, and places of memory” (120). Steve Mason provides a wonderful discussion of the non-Christian texts about Jesus. In his section on “Greek, Roman, and Syriac Texts” (159-165), he suggests that these ancient sources do not provide independent information but rather make use of Christian tradition (164), while mentioning the possibility that Tacitus might be dependent upon Josephus for his information (163). Moreover, he argues that the phrase impulsore Chresto in Suetonius is probably not a reference to Christ or Christian missionaries (162). Mason’s discussion of “Jewish Sources: Flavius Josephus” (165-170) was one of my favorite sections in the handbook. Here, special mention may be made of his respectful dialogue with Richard Carrier’s thesis (JECS 20:489-514) that in Ant. 20:200 Josephus refers not to James the brother of Jesus but rather to James the brother of the high priest Jesus ben Damneus. While recognizing the intellectual merit of this proposal as an “original, alternative explanation,” Mason argues that it “creates more problems than it can solve,” since it “explains neither the accusation of transgressing the law … nor the fact that James is condemned with other men” and also leaves unexplained “the reaction of the other members of the Jewish leadership to the illegal proceedings” and “the presentation of a high priest who has overstepped his authority in legal proceedings, but not in an action against competitors within the Jewish leadership” (169). Thus, for Mason: “the simplest explanation for the text in Ant. 20 … remains the assumption that in Book 18 Josephus had already mentioned a Jesus, who was called Christos, to which he now refers” (169). Daniel R. Schwartz’s analysis of the “Political Conditions: Roman Rule, Herod the Great, Antipas” (184-197) is a tightly argued section marked by clarity of presentation and coherence of argument. What I found especially noteworthy was his thesis that from the beginning Rome’s endgame was to annex Judea, together his corresponding suggestion that Herod the Great’s long reign facilitated their decision to do so, insofar as it convinced them that it was possible to separate the Jewish religion from the state, so that the state could be conducted as a normal kingdom (194-195). In his discussion of the “Religious Context” (197-213), Lutz Doering uses the categories of “integration” and “diversification” to describe Judaism in the Hellenistic-Roman period, noting that this approach represents both a continuation and nuancing modification of Sanders’ model of “common Judaism,” which rightly stressed what was common but did not give sufficient attention to the profiles of the different groups (199; cf. also 204). From Stephen Hultgren’s section on “The Education and Language of Jesus” (219-227) I learned that our picture of the linguistic situation in Jewish Palestine has changed to a greater extent than I had realized. In short, it seems that, in addition to Aramaic, both Hebrew and Greek were in greater use than I had thought (225-226; cf. also 234, 239 [J. K. Zangenberg]). In his section on “Galilee and Surroundings as Sphere of Activity” (230-237), Jürgen K. Zangenberg makes the valuable observation that with respect to the Galilean context of Jesus, the Gospels provide only an excerpt and not a representative Durchschnitt of the Galilean milieu. More specifically, the Jesus tradition creates “its” Galilee just as Josephus sets forth “his” Galilee in various works (230). Concretely, Zangenberg explains that “Galilee at the time of Jesus was a region set in motion by inner and outer factors” and suggests that the Jesus tradition’s emphasis on the personae miserae and the subversive character of the kingdom of God should be attributed not to an especially oppressive poverty in Galilee but rather to an accent set by Jesus himself (237). Notably, Darrell Bock and Jens Schröter develop a similar line of argument in their section on “Jesus’s Perspective on Israel” (338-348). Arguing that Jesus’s activity and teaching should not be explained primarily as a reaction to foreign rule and social oppression but rather have a more fundamental orientation, they claim that this is already probable because “Galilee at the time of Jesus was not characterized by far-reaching political and social tensions” (339). In his section on “Jesus and the Political and Social Environment of his Time” (252-262), James Crossley sets a somewhat different accent than Bock/Schröter with respect to the situation in Galilee (Zangenberg arguably falls somewhere between them on the spectrum). Crossley is especially interested in the social effects of the urbanization projects, irrespective of whether the population regarded these developments as responsible for the changing life conditions (254). On the one hand, he is cautious about what can be said regarding the life standard, the extent of disturbances, the use of physical violence, and the “oppression” of the population in Galilee (254). On the other hand, he stresses that “in the time in which Jesus grew up in Galilee there were, in fact, dramatic upheavals, which probably also included resettlements and expulsions” (254-255). 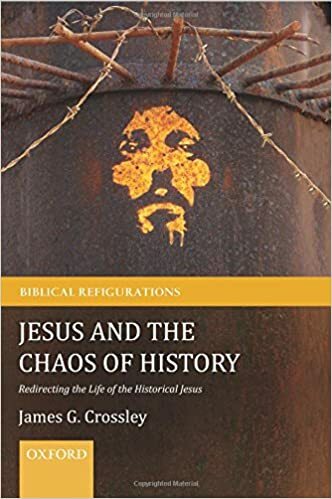 For me, a particularly illuminating insight from Crossley’s discussion of Galilee was his observation that what is decisive is not simply the political, social, or economic situation as such but rather “how certain changes were perceived by the population” (254, my emphasis). Annette Weissenrieder’s section on “Jesus’ Healings” (298-310) proved insightful at many points. In my case, her documentation of the similar descriptions of the symptoms of the sick and possessed in the Gospels and in ancient medical literature was particularly instructive (300), for example the parallels to Matthew’s use of “moonstruck” (σεληνιάζομαι, 17:15) in Aret. SD 1.4.2; Gal.di.dec. 3.2 [9.902-903 Kühn]; loc.aff. 3.9 [8.175-177, 233]. In terms of the state of research, it is noteworthy that Weissenrieder challenges the applicability of the distinction between “disease” as biological sickness and “illness” as social (and ritual) experience on the ground that it presupposes a clear separation between the physical and social-cultural phenomena of a sickness, which she regards as problematic in light of the connection between them in the ancient texts (301). In his section on “Tax Collectors and Sinners as Addressees of the Activity of Jesus” (348-356), Yair Furstenberg provides a fine discussion of the designation “sinner,” a classic crux interpretum. In critical dialogue with Sanders, Furstenberg argues that “sinner” is not a fixed category but rather a designation whose scope and meaning depends on the precise context in which it is used (350). Moreover, he suggests that the accusation of fellowship with sinners is specifically related to Jesus’s disregard of the existing conventions of table fellowship, according to which Jesus’s eating with evildoers called into question his moral integrity (350). In “Jesus’s Picture of God and the Significance of Father Metaphoricism” (361-368) Christine Gerber consciously interprets Jesus’s picture of God in continuity with Jewish conceptions of God (361). In terms of methodology and content, a strength of her treatment lies in the attention she gives to the metaphorical character of the individual statements, which are interpreted with a view to “what from the ancient father conception is concretely transferred to God in each case” (366). Among other things, she notes here that “father” is a “term of relation,” which implies a relation that is characterized by lifelong duration and asymmetrical exclusivity. Negatively, she makes the interesting observation that there is no explicit talk of “fatherly love,” while granting that it indirectly comes into play in Luke 6.36; 15.11-32 (367). Among the many striking lines of argument in Thomas Kazen’s section on “Jesus’s Interpretation of the Torah” (402-416), special mention may be made of the way that he attempts to situate the Jesus tradition in relation to developments in the halakic patterns of argumentation toward the end of the second temple period (408). Notably, this approach leads him to a different evaluation of the development of the tradition at many points. For example, while many scholars treat the rabbinic principle that acute danger to a person’s life overrides the Sabbath regulations (piquach nefesh) as the background context of Jesus’s arguments with his interlocutors, Kazen argues that the formulation of this principle represents a later stage of development, which was not yet in play for Jesus’s own debates with the Pharisees and was first introduced by the evangelists with a view to the current state of discussion in their day (409-410). Michael Wolter’s section on “Jesus’s Self-Understanding” (425-431) reflects well his characteristic combination of exegetical precision and conceptual clarity. What is refreshing about this section is that rather than restricting his attention to a few classic texts, Wolter’s presentation incorporates an extremely wide range of texts and themes. 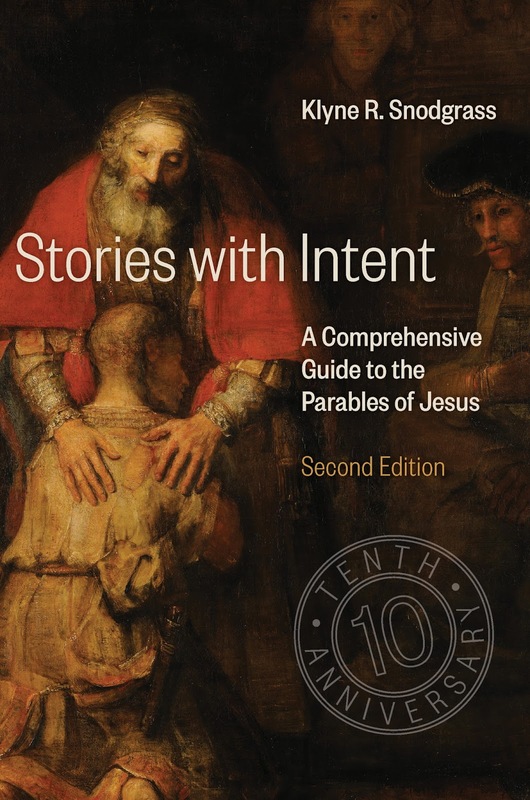 In terms of content, Wolter argues at several points that Jesus claims to act in the place of God (426, 427) and states that “Jesus proclaims not simply the mercy of God, who forgives humans their sins, but he is God’s mercy or—stated more fully—that God’s mercy takes place in his activity” (428). While many texts are drawn upon, it is notable that Wolter (431) gives only minimal attention to the so-called “titles of majesty,” which often play a larger role in this connection. Michael Labahn achieves a very high level of conceptual clarity in his section on “Discipleship, Radical Renunciation, ‘A-Familial’ Ethos” (445-454). Indeed, for me his analysis gave much sharper contours and depth to many of my favorite themes and sayings in the Jesus tradition. Against Schweitzer, Labahn rightly argues that Jesus’s radical demands are not an “interim ethic” but rather “form a counterpole to structures of the present world and anticipate the kingdom of God” (454). In his section on Jesus’s entry into Jerusalem and his stance toward the temple (460-467), Markus Tiwald provides an instructive discussion of early Jewish positions on the temple (462) and the potential relevance of this material for interpreting Jesus’s temple action and temple saying (463-466). The significance of his analysis is not simply that he identifies Jesus’s action as a prophetic sign act rather than a “temple cleansing” but, more specifically, his twofold claim that Jesus, too, expected a new temple in the endtime and that he, as the messenger of the kingdom of God, saw it as his duty to reclaim the temple in the sense of his message, not as an abrogation but as an integration of the temple institution into the idea of the now dawning kingdom of God (464). Christine Jacobi’s section on “Resurrection, Appearances, Instructions of the Risen One” (490-504) is chock-full of perceptive insights. Perhaps most fundamentally, she fruitfully develops the insight that “from a history-of-theology perspective the appearance experiences and resurrection faith are … to be understood not as caesura but as junction” (491). A strength of Jacobi’s analysis is her attention both to the tradition historical background of the Christian confession that Jesus was raised from the dead and to possible starting points in the activity of the earthly Jesus (492). Throughout she skillfully identifies patterns of interpretation that may have co-determined the character of the appearance experiences themselves or informed their interpretation, while consistently showing an appropriate sensitivity to points of difference with regard to proposed parallels. One of her most striking lines of thought involves the suggestion that the innovative Christian connection of an individual resurrection with the dawning of the endtime and the expectation of a general resurrection may have been informed by a post-Easter interpretation of distinctive features of the pre-Easter proclamation, e.g., the conviction that in Jesus’s resurrection the endtime resurrection of the dead is announced could have been formed by analogy to the connection between the episodic presence of the kingdom in Jesus’s activity and the future coming of the kingdom in power (500-502). Let me now offer one specific criticism and one suggestion for revision. My criticism pertains to a statement found in Craig A. Evans and Jeremiah J. Johnston’s section on the “Kingdom of God” (369-378). With respect to Matthew’s preferential use of the phrase “kingdom of heaven,” they explain that “the difference is purely formal and reflects Matthew’s tendency to avoid the name of God, which probably follows the use of the contemporary synagogue” (376). In my view, this widely held interpretation is no longer tenable, having been effectively challenged by my UGA colleague Robert Foster in his article “Why on Earth Use ‘Kingdom of Heaven’? : Matthew’s Terminology Revisited” (NTS 48 , 487-499) and then decisively refuted by Jonathan T. Pennington in his book Heaven and Earth in the Gospel of Matthew (Leiden: Brill, 2007). Rather than being attributable to a tendency to avoid the name of God, the phrase kingdom of heavens must be interpreted in relation to Matthew’s other ‘heavenly’ language (Foster) and, more specifically, with reference to its function in his heaven and earth theme (Pennington). My suggestion for revision concerns the handbook’s treatment of the synoptic problem. My criticism here is not primarily directed at individual authors. In particular, while it is commendable that Ruben Zimmermann explicitly addresses the issue (382), I think it is also perfectly reasonable that many authors develop their argument on the basis of the two-source hypothesis without further justification. There is simply not space for everything within the confines of a handbook. Likewise, I think it is appropriate for John S. Kloppenborg to give exclusive attention to the two-source hypothesis in his valuable sections on “The Introduction of the Concept of Myth into Jesus Research and the Emergence of the Two-Source Theory” (47-55) and “The Synoptic Gospels, the Sayings Source (Q), and the Historical Jesus” (130-137). Instead, my criticism and suggestion for revision is principally addressed to the two editors. 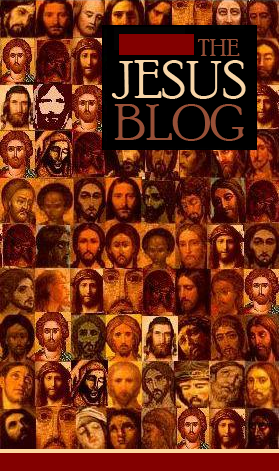 Due to the extent to which historical Jesus research is informed by the solution that one adopts to the synoptic problem, I think that a 2017 handbook on the historical Jesus needs to discuss—or at least highlight—the fact that at present the two-source hypothesis does not seem to command the same level of consensus as it did in some other phases of Jesus research. Moreover, in light of this perceptible shift, I think that it would be beneficial for the handbook to include at least some discussion of different solutions to the synoptic problem and their bearing upon historical Jesus research. How this should be done is less clear to me. One option would be to include a brief discussion of the synoptic problem and its relevance for historical Jesus research in the editors’ introduction to section C. Another solution might be to (also) add a new section after C.II.1.1 on the “Farrer Hypothesis and the Historical Jesus,” which could include a very brief discussion of other rivals to the two-source hypothesis in its opening paragraph. 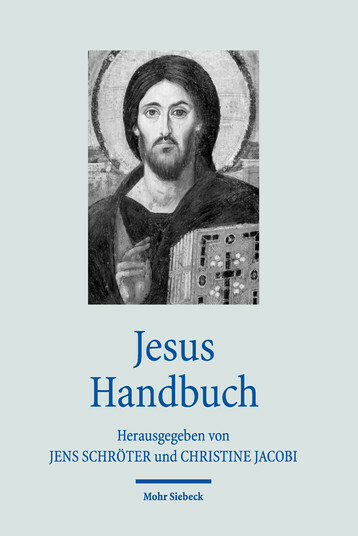 Let me conclude my review by restating my conviction that the Jesus Handbuch is an excellent volume that will prove to be a rich resource for both students and seasoned scholars. I hope that the German volume will be widely read and that it will translated into English in due course. The true random number generator has spoken. The winner of the Snodgrass second edition from Eerdmans is the owner of comment 3. Some of my best friends have seen snipes. I like them best with Chick-Fil-A sauce. Bill, if you'll send me your address to chris.keith@stmarys.ac.uk, I'll make sure that Eerdmans gets you the book.